Office Golden Sands - you can choose this office in case you need rental cargo van for the resorts near Varna. Top Rent A Car is the leading car rental and cargo van rental company. Our car fleet consists of more than 1200 cars! If you need cargo van for your business you could book on our website or on national cargo van rental number: +359 700 89 050. Choose between the huge choice of cargo vans for rent in Varna. If you need information do not hesitate to contact us. The price of the cargo vans depends on the rental period. We have special conditions for longer rentals. Book your cargo van in Varna using our booking form or contact us on our national rental number. All cargo vans can be rented from our offices or delivered to exact address upon request. The advantages of the cargo vans for rent offered by us are: various models, diversity of car classes and sizes, professional service and affordable prices. Top Rent A Car offers the highest quality service and the best prices. We offer cargo vans for rent in Varna and the country since 2015. The company offers best conditions for rental of cargo vans and individual offers according the needs of the customers. If you are arriving on the airport or are already in Varna and need safe and reliable cargo van rentals at best prices for your stay, do not hesitate to contact our team. We offer Cross Border rentals for our cargo vans. You can book directly from our booking form on directly at: +359 700 89 050! 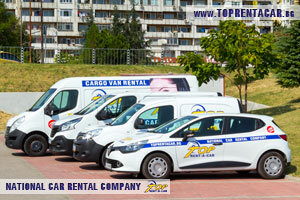 Top Rent A Car offers diversity of vans in Varna. Visit our page and choose the best cargo van for your trip here. You can easily transport anything fast and safe with hired cargo van from Top Rent A Car. You can use Varna as your starting location for your travel with cargo van rented from Top Rent A Car. The booking process is fast and easy but will save you time on picking up. Book on our website or contact our booking department they will be glad to assist you for individual offer which will cover all your requirements. As well as the cargo van rental from Varna you could book and GPS navigation system and 3G Wi-Fi which will keeps you online all the time. 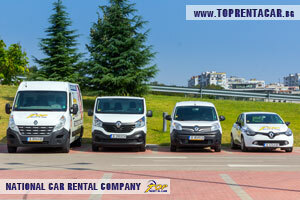 Why choosing cargo van rental in Varna from Top Rent A Car? 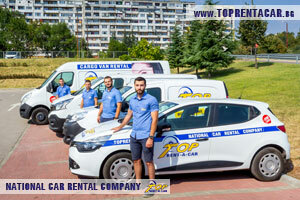 Top Rent A Car offers affordable prices for hire of cargo van in Varna combined with perfect service. Contact us now to check the latest offers for cargo van rental in Varna.